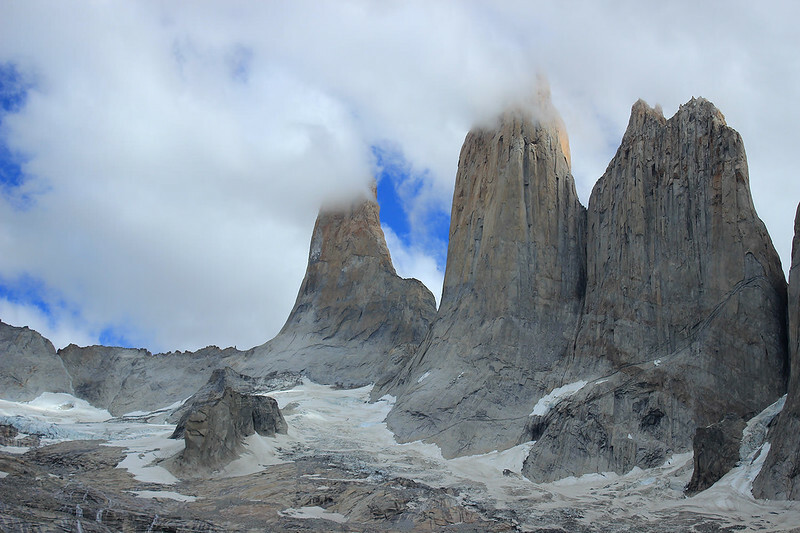 Patagonia – Wilderness & Beauty. Places to See and Photograph. 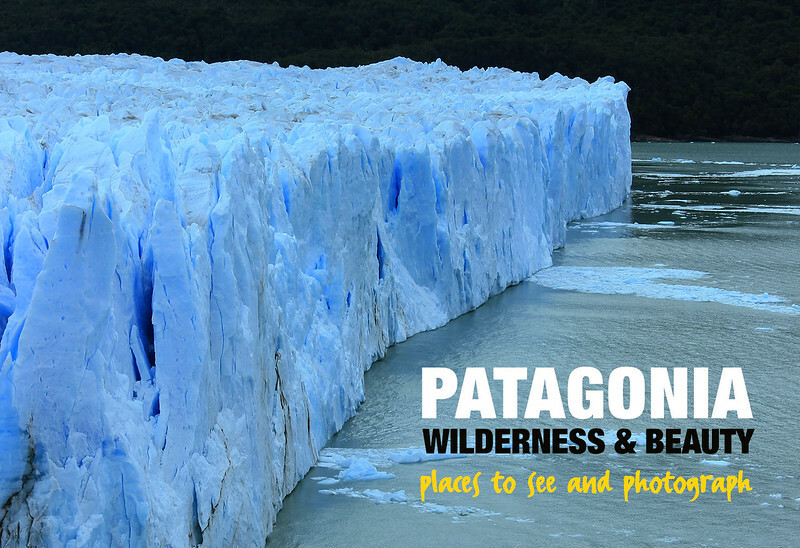 Patagonia is one of those holy places for landscape and wildlife photographers. 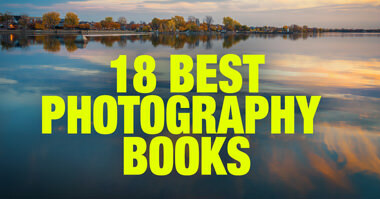 Undoubtedly, it’s on everybody's bucket list of photography destinations. Either because of the Andes mountain ridge, the green and blue glaciers, or the penguins and sea lions on its Atlantic coast, Patagonia has many diverse options for all types of photographers. Due to its extreme weather during the fall and winter months (March through September) it’s highly recommended to visit the region during spring and summer (November to late March in the Southern Hemisphere). Take into account that the summertime might be more expensive due to the high-season increased demand; hotel and airfare availability might be limited. 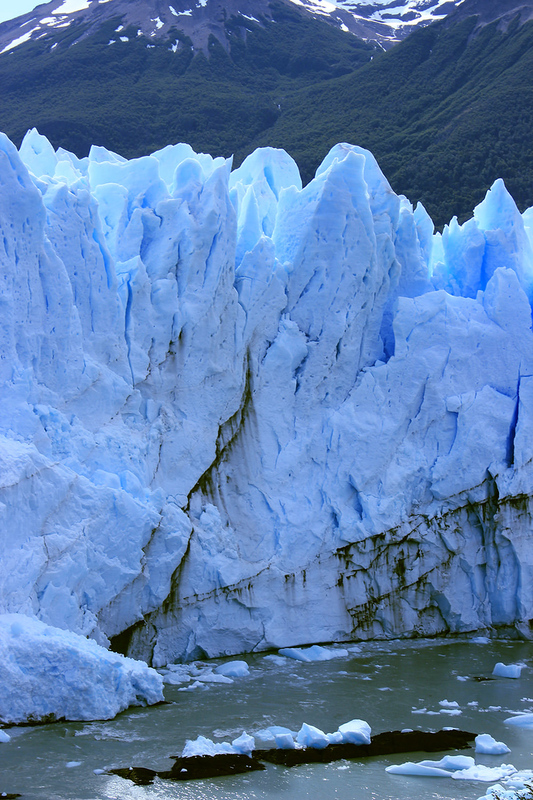 The glacier is one of the highlights of the Argentinean Patagonia. Its azure, deep blue and green colors blend with the sky and the waters of Lago Argentino. 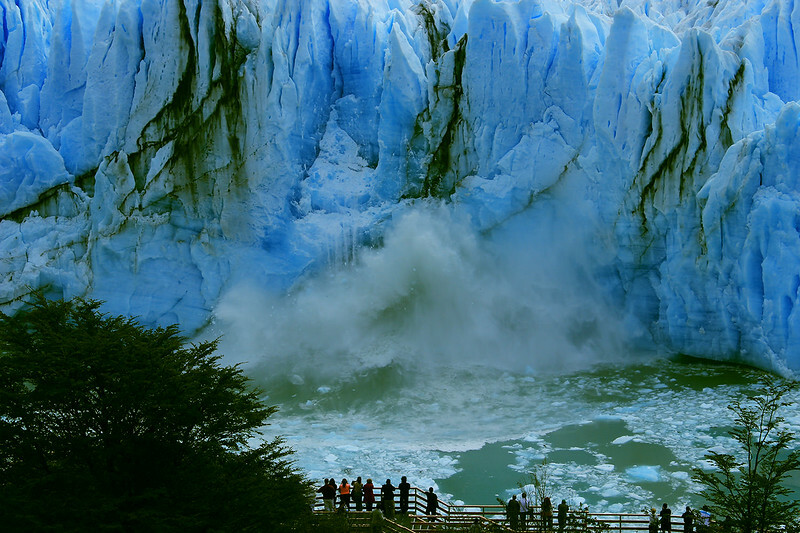 ​Contrary to many glaciers around the world, the scientific community has recorded the expansion of the Perito Moreno glacier in the recent decades, despite global warming. Ice breakups are a spectacle not to be missed and they usually occur during the summer months. You can reach the glacier by water and land, but I recommend you do the walk on top of the glacier. This provides a completely new perspective of the ice mass. Make sure your clothes, and specially your shoes, are appropriate and in good shape for ice trekking. Tip: Leave the tripod at the hotel, It might be difficult to carry a lot of equipment on the icy adventure. The park is located in the Chilean side of Patagonia, next to the border with Argentina. 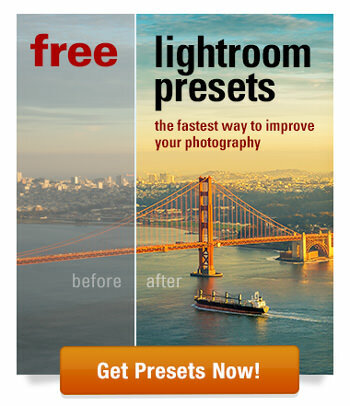 Its vistas and panoramas are some of the best around. The ecosystem at the park is vast. 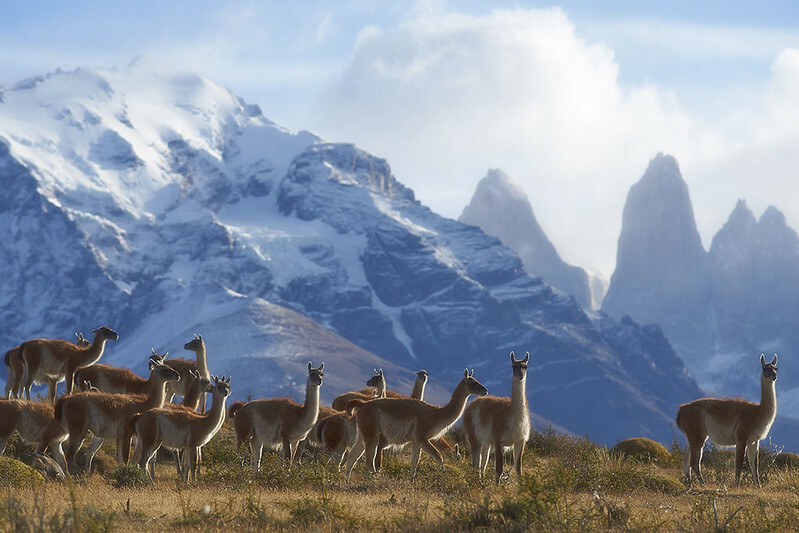 You can expect to photograph Guanacos (small type of llama), Andean Condors and Magellanic Woodpecker among many other birds that inhabit the Andes. The park’s topography is a true jewel for landscape photographers. There are many trails that traverse different areas of the park. Make sure you organize your stay around the spectacular sunrise at Los Cuernos and Cerro Paine Grande peaks. The morning lights paint bright and dark shades on to the Andes mountains. This is another well worth spectacular views of Patagonia. A few hours away from the Andes, the Monte Leon National Park sits on Patagonia’s Atlantic coast. 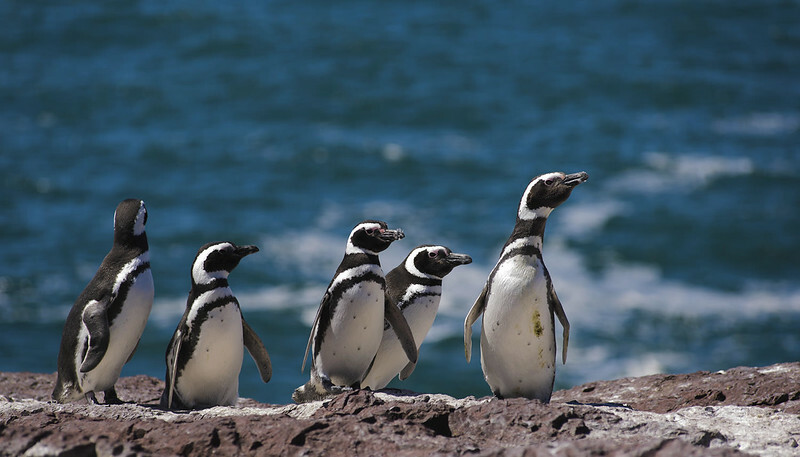 The park’s inhabitants range from sea lions and penguins to foxes, pumas, llamas and guanacos. There are many great spots for wildlife and long exposure photos. I suggest you go to its wide beach next to the Atlantic shore. You can usually find a multitude of very friendly penguins sunbathing at the beach. They are, for the most part, unafraid of visitors. Whilst the park is mostly empty throughout the year, lodging and accommodations are scarce. The closest town is Coronel Piedra Buena, about 40 minutes away from Park’s entrance. Bariloche might make you think that you were transported out of Patagonia. San Carlos de Bariloche’s architecture resembles to the classic Swiss Alps design. Some of the Patagonia pioneers, who claimed this territory as their home, originated in Europe and transplanted their culture and customs to the Southern latitude. The main city center overlooks the Nahuel Huapi lake which is surrounded by mountains and the Huemul island. 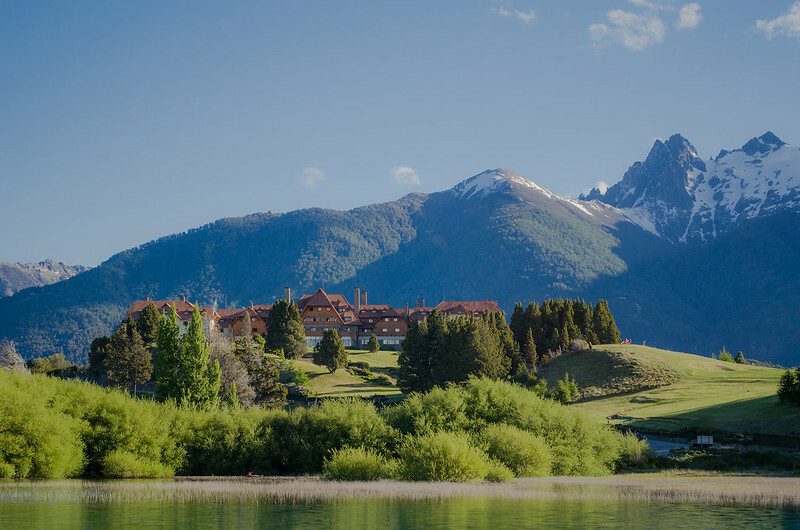 The Llao Llao hotel is located around the lake and has a beautiful Barbarian identity. Bariloche is a perfect destination during both summer and winter months, when most of its ski resorts are in full swing. Bariloche has many daily flights to Buenos Aires, Argentina’s capital, and is one the most cosmopolitan cities of Patagonia. 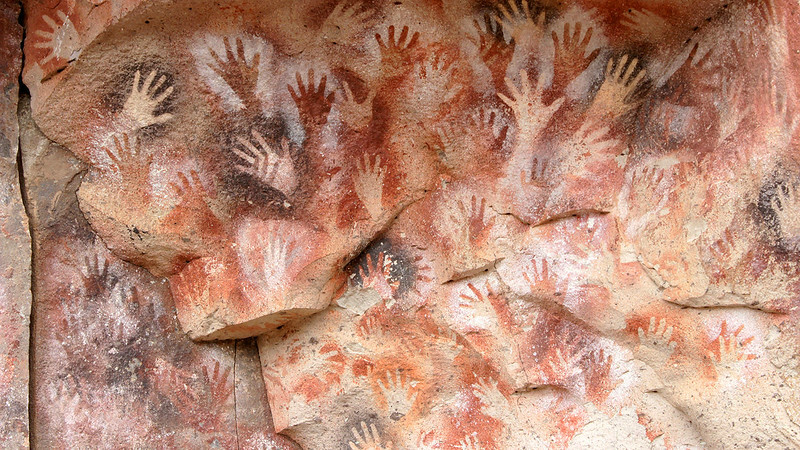 Similarly to the Lascaux cavern in Southern France, the Cuevas de las Manos site displays some ancient paintings of the indigenous population that inhabited Patagonia many thousands of years ago. It’s believed that the artists responsible for these drawings are the direct ancestors of the Tehuelche tribe. The artwork has been carbon-dated to ca. 9300 BP (about 7300 BC) and it has been declared a UNESCO protected site in 1999. As with the French cave, Cueva de las Manos depicts profile representations of hunter gather scenes as well as patagonian animals. Cave’s most important find portraits its left hands prints in negative shapes which decorates the cave’s entrance over the rocks. Undoubtedly, witnessing these hands paintings takes you back, not only in time but into the significance of art for all societies across the world. Which in some cases dates well before the discovery of the American continent. Their mark the stone as a testament of their existence and mythos towards themselves as individuals, their environment and their culture. These are just a few of my favorite spots to visit in Patagonia. Much has been written about the ferocity of the Patagonian winds. They are known to bend car doors and light post. Be aware of your surroundings, at times, the winds can be very strong. Clothing is important. Traversing the 34 parallel has drastic climate differences. Pack accordingly. Expect very cold nights and cool to moderate days during summer and spring. Both in Argentina and Chile the population speak Spanish. Although everyone will do their part to understand you, it’s a good idea if can learn some basic words. Here are some rudimentary essentials: “Hola”, “Gracias”, “Adios”. Most of the main highways in Patagonia are in good shape, but It’s important to check their status before departure. Some old province routes are made of gravel. Check with locals or with Vialidad Nacional (Argentina’s highway service) before you take on a roadtrip. Diego Waisman writes for Photo Tours South America. 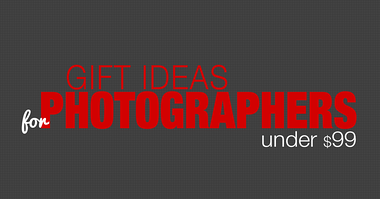 A photo tour service that organizesPatagonia photo tours for all levels of photographers.